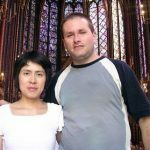 Kris is the lead pastor of Peninsula Community Church in Auckland, New Zealand, and Megan is involved in the ministry of the church. The goal is to produce a healthy, growing church that is transforming its community through Christ and expanding the Kingdom of God. Kris and Megan have been active in the church for their entire lives, having grown up in homes committed to Christ. Kris has been in vocational ministry for more than fifteen years, and Megan is a physical therapist. Kris graduated with a bachelor’s degree from Anderson University and went on to earn MATS and MDiv degrees from Liberty University. Megan graduated from Rocky Mountain College with a degree in exercise science and then earned a doctor of physical therapy degree from the University of Montana. 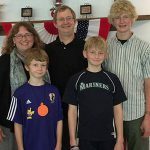 When the Gilberts returned to the States after nearly three years of service at a church in New Zealand in the Wellington area, they weren’t expecting to return. They settled in Billings, Montana, where Kris took a position as a discipleship pastor. But then in 2014 God called them back to New Zealand, and they were amazed at the work that God was doing and the doors he was opening for a return to ministry in a country and to a people that they both passionately love. The Gilberts’ assignment in New Zealand is a partnership between Peninsula Community Church, Indiana Ministries of the Church of God, and Global Strategy. The Gilbert family arrived back in New Zealand in July of 2014, and after spending about six months in the culture along with listening and praying, they, along with their board, decided to replant Westside Christian Fellowship as Peninsula Community Church. Today, the church is thriving, growing, and expanding in outreach into their community.